When he steps into the cage this Saturday in Nova Scotia, Paddy Holohan will compete outside of Europe for the first time as a pro MMA fighter. Is he nervous? It turns out he’s competed there before in various capacities. But even if he hadn’t, you get the sense he wouldn’t be all that worried about it. Holohan, one of the UFC’s newest flyweights, seems to have a knack—a very deliberate knack, if such a thing is possible—for taking life as it comes. That should serve him well at UFC Fight Night 54, when he faces unheralded Nova Scotian Chris Kelades, who was chosen to replace Louis Gaudinot on five days’ notice for reasons of sheer logistical expedience. “I didn’t even know what he looked like,” Holohan said of his original opponent. One thinks it isn’t much different with Kelades. This is not to say Holohan isn’t thoughtful. He is. Very much so, actually. He's just kind of selective about it, probably as a means of keeping his peace with the chaos the universe serves everyone every hour. Whatever he's doing, it's working. The 26-year-old flyweight is 10-0-1 as a pro coming into this, his second fight in the UFC. This may come as a shock, but Paddy Holohan is an Irish name. Not only is he one of the more intriguing prospects in his weight class, but he’s perhaps the newest face in Ireland’s fledgling quest to carve out a place in modern combat sports. You can hear Holohan's passion come through in the expansive, almost lyrical way he discusses martial arts and his own career path. Opponents? Not much to say beyond a couple of warmed-over cliches. But teammates? Dublin? MMA itself? He could write a book. As a young person, Holohan shuttled between the political ignition points of Dublin and Belfast. By his own admission, he “lived around rough areas.” Confrontation in the streets—and with Holohan in particular—was common. Ergo, a trip to the local fight gym to learn some self-defense. When he walked into that gym, he didn’t realize he was also walking into Ireland’s future fighting mecca. Kavanagh is the head coach at SBG Ireland. That’s right: Holohan shares mat time with Irish luminaries like Conor McGregor, Cathal Pendred and others. But those aren’t the only ones working fiendishly to hone their craft for UFC success. Holohan says he's ready to take over, too. His primary calling card is the submission game, particularly chokes. And that makes sense, when you consider Kavanagh, whom Holohan calls “a mad scientist,” is Ireland’s first jiu-jitsu black belt, and one of his SBG teammates is UFC welterweight standout and grappling wizard Gunnar Nelson. Holohan has had a few down spots in his career, but he addresses those with the same upbeat introspection with which he addresses so many other things. Take The Ultimate Fighter, for instance. More or less on a whim, he tried out for the show’s 18th season, flying to Las Vegas with only a friend, and no coaches, in tow. Though he made it through tryouts, he was smothered by wrestler Josh Hill in the elimination round. Holohan maintained—albeit somewhat abstractly—that the experience was all for the good despite the defeat, as it gave him a strong measuring stick both in terms of other fighters and the fighting lifestyle itself. Not long after TUF, Holohan underwent surgery to fix some balky discs in his back. More lessons learned, as he says he now trains smarter and is over his issues. Maybe it did all work out, as earlier this year, Holohan got the call to fight in the UFC’s first card in Ireland in several years, joining teammates McGregor and Pendred at the O2 arena in Dublin. Talk about a rush. Holohan's was the first bout of the night, and he choked out Josh Sampo, receiving a thunderous ovation from the hometown faithful for the effort. “It was a lot of feelings at the same time. I was thinking of my son at the moment. I had a vision,” he said of the second he knew he'd won. Does he expect a repeat performance on Saturday? Back to specifics, Holohan retreats to brevity. 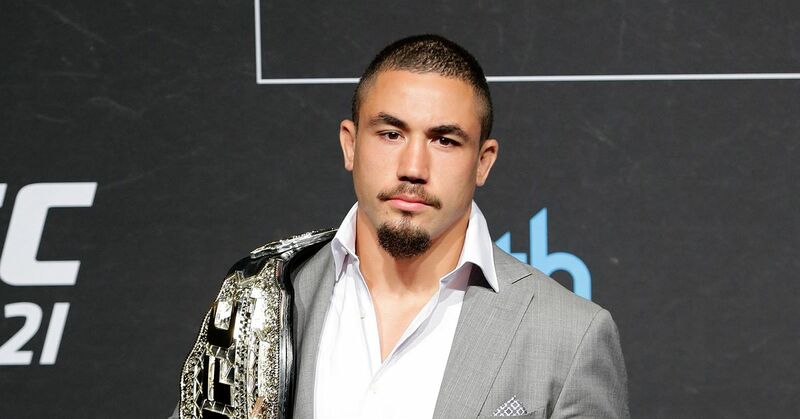 The Beaten Path is a series at Bleacher Report highlighting intriguing prospects in MMA. For the previous interview in the series, click here. All quotes obtained firsthand. Scott Harris covers MMA and other topics for Bleacher Report and other places. Follow him on Twitter if you feel so inclined.